I’m in Nashville’s Music Row on 16th Street, just a stone’s throw from RCA’s famous Studio B and I’m with Billy Montana and it’s raining buckets. Somewhat ironic really as Billy wrote the number 1 country hit Bring on the Rain, and frankly Nashville couldn’t bring on any more rain if it tried. I ask him if it’s lyrics or melody first ” I’m a poetry guy” he says ” words mean something, so for me a meaningful lyric will somehow bring out its own melody. I leave Billy to hopefully conjure up another hit and stroll past RCA Studio B. Elvis recorded over 200 songs here, and you can add Roy Orbison, Dolly Parton, The Everly Brothers and Jim Reeves to name but a few. 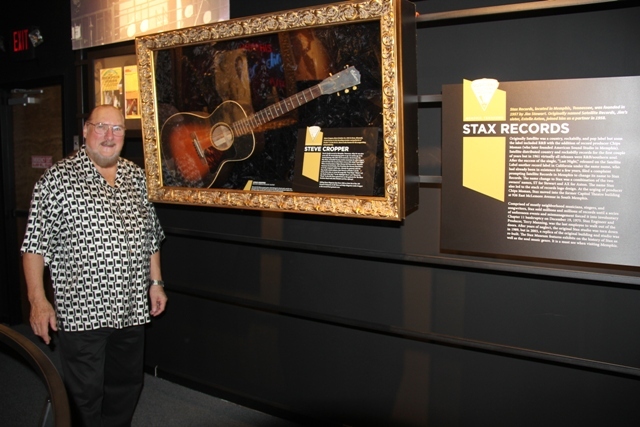 You can get a tour of the studio as part of the admission at the Country Music Hall of Fame, itself a wonderful walk through the history of country music. I am unashamedly a country convert. Having grown up listening to heavy rock and then finding soul music, it was the story telling and melodies of country that reeled me in. So for me, coming to Nashville is like going to church. 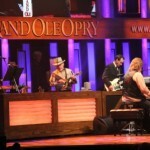 And what better church to visit than the Grand Ole Opry, 90 years old this year. What began as the Union Gospel Tabernacle became the Ryman Auditorium , the spiritual home of a live country music radio show that has been a stage for every great country artist that ever was. 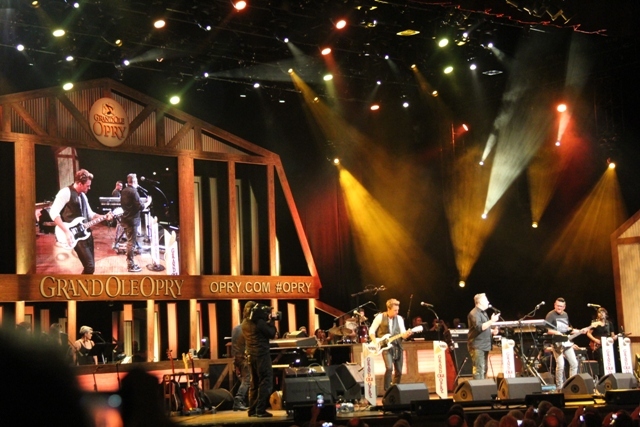 I was back at the Opry last night watching Rascal Flatts bring the house down and though it now resides on the Gaylord Opryland complex after finally leaving the Ryman in 1974, it’s lost none of its magic dust. I indulged in a post show back stage tour (although you can get a tour during the performances too) and got to stand on that famous stage holding the mike on my very own just for a few special moments. 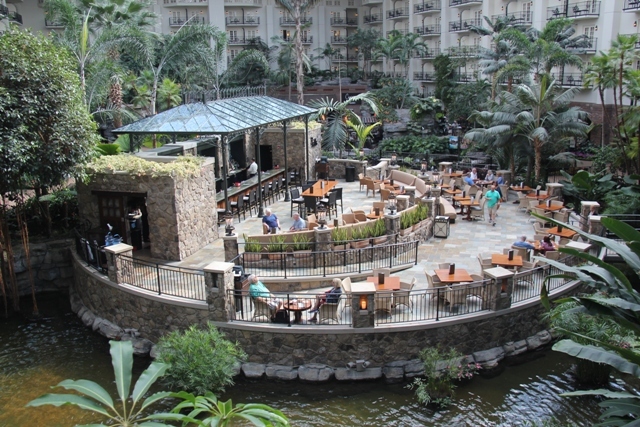 The Gaylord Opryland resort is itself a pretty extraordinary place. 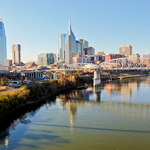 Just 20 minutes from downtown Nashville its 47 acres is home to a luxury hotel complex of nearly 3,000 rooms encased within an indoor landscape of rivers, waterfalls and 50,000 types of flora and fauna, 15 restaurants, the Opry Mills factory outlets within walking distance with over 200 shops offering discounted designer clothing and accessories, (some with as much as 60% off) and just next door, the Grand Ole Opry itself. 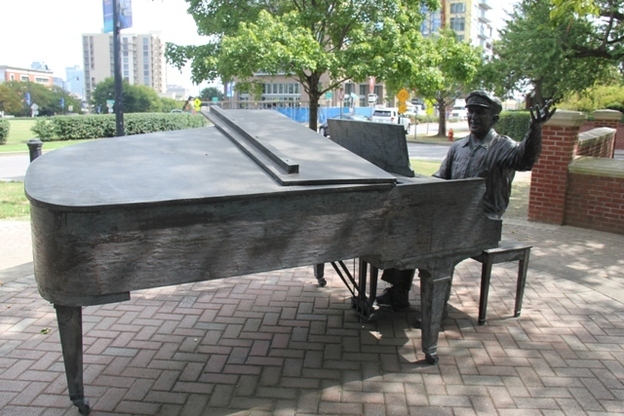 Nashville may have its legacy venues but there is no shortage of new musical shrines to discover. The new Johnny Cash museum is a worthy diversion for lovers of the man in black, whilst the legendary Hatch Show Print poster company has moved to a bigger and better building. I am however on my way two meet two other legendary figures; two gentlemen who between them have weaved a musical spell or two but for very different reasons. 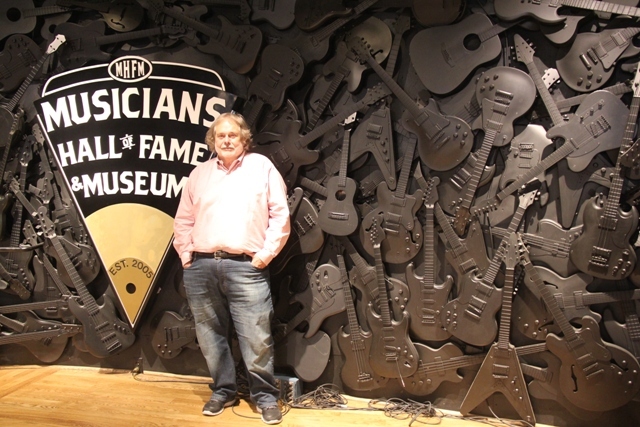 Joe Chambers is the force behind The Musicians Hall of Fame, a shrine to the actual musicians, the unsung heroes who played on some of the greatest records ever made. Not just the musicians by the way, the instruments too. 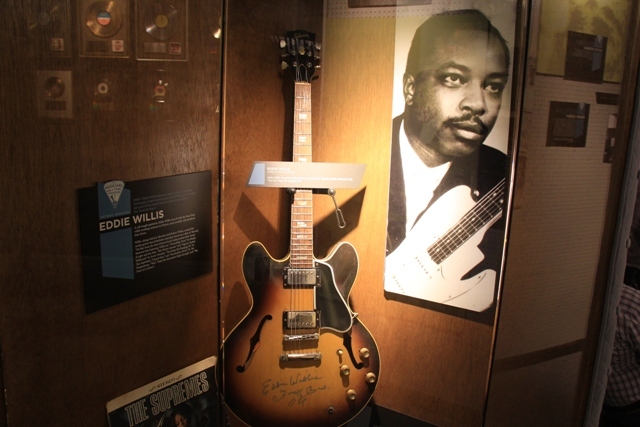 If you want to see the actual Gibson Eddie Willis played on Signed Sealed Delivered or the Coral guitar Joe South used on The Games People Play they are here. In fact if you have a favourite song lick, that instrument is no doubt in a case somewhere here too. 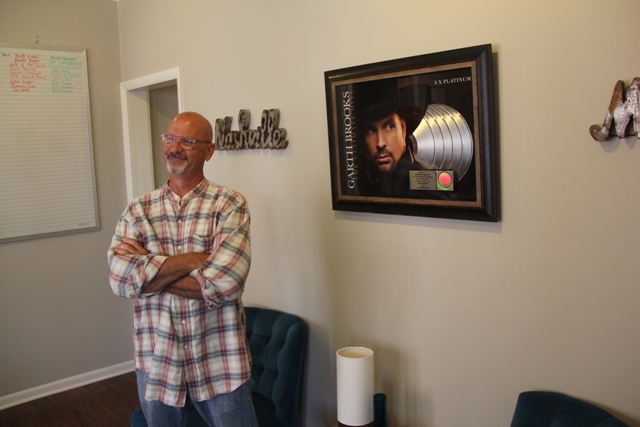 But previously to this, Chambers was a successful songwriter for CBS penning hits for George Jones, Tammy Wynette, Randy Travis and BJ Thomas, before running a successful guitar emporium. In other words Joe knows a thing or two about music. Someone else who can play a musical note or two is none other than the great Steve Cropper, the soul man himself. His time with Booker T and the MG’s – the Stax house band made up of Steve, Booker T Jones, Donald Dunn and Al Jackson is stuff of legend. This is the man who penned hits such as Dock of the Bay, Midnight Hour and Knock on Wood, played on just about every classic soul hit ever made and was and still is, an original Blues Brothers band member. I am, needless to say, very excited. 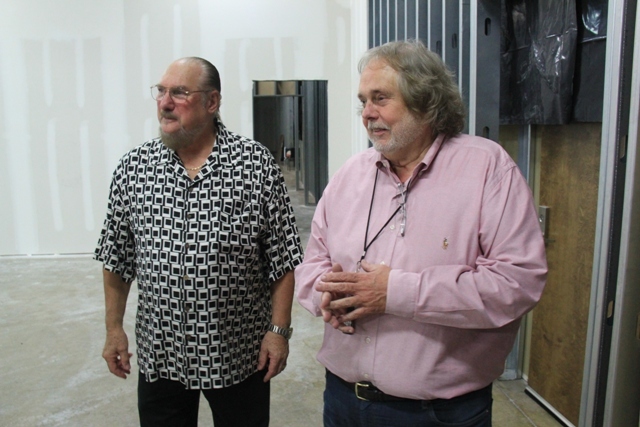 We meet at Joe’s museum where Steve Cropper is looking decidedly spritely for a musical legend. I grip the hand that strummed countless riffs and feel a little light headed. I can’t let go. Steve’s easy going nature is such that he keeps his hand there, so we are more than momentarily locked together. Sensing this is getting awkward I release, and swear I hear a sigh of relief. Tragically, Dock of the Bay would prove to be his last, released just two days after he died in a plane crash. I reluctantly leave Steve Cropper with an offer to become a Blues Brother anytime he needs a stand in, after all, give me a hat and shades and I can at least look the part if not exactly sound it. Joe promises much more is coming to the Musicians Hall of Fame and I look forward to coming back and seeing how his expansion pans out. I walk back past Broadway’s famous honky-tonk bars, the live music from Nashville’s future hopefuls pouring out onto the sidewalk. Is there a star in the making? I think back to Billy Montana and Steve Cropper and realise you just never really know, do you. 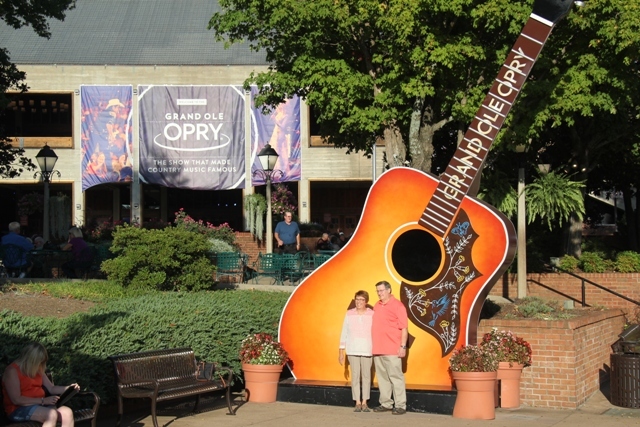 Andy Mossack’s Nashville experience was part of a joint Kentucky and Tennessee road trip called “Only in America tour” available through Bon-Voyage from £1,695 per person and includes car hire, flights to Cincinnati Ohio and return from Atlanta Georgia, 14 nights mid to high end B&B accommodation and a personalised North America road book with full itinerary and travel tips. 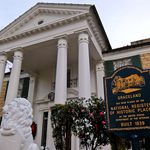 Gaylord Opryland rooms from 270 per night.